The London Knights showed the Windsor Spitfires and the rest of the league why they finished first in the league Friday night. They dominated much of the game against the Spits, and opened their series with a statement, after earning a 3-0 shutout victory. 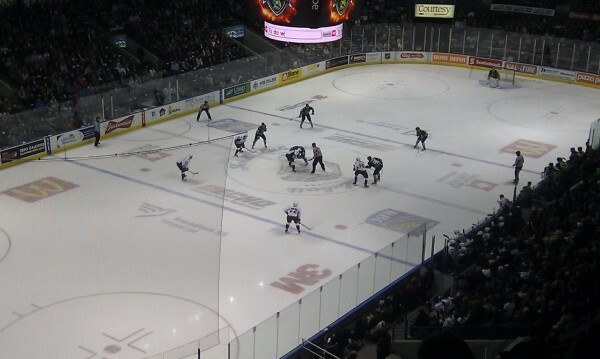 The London Knights controlled early with their passing and constant puck movement. This style of offensive hockey worked well for them, and led to their first of three goals. Vladislav Namestnikov skated around a Spit player, dragged the puck between a defenseman’s skates and over goalie Jaroslav Pavelka’s legs. London’s second goal occurred after London goalie Michael Houser passed the puck ahead to Bo Horvat. He kept the puck away from Spits defenseman Brandon Devlin, eventually fighting off his check and putting the puck through Pavelka’s legs. 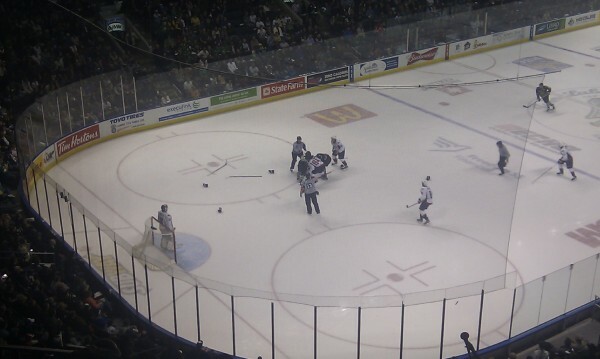 The Spits had a bit of offense going for them, receiving the game’s first powerplay. However, they could not muster many chances, and trailed 2-0 after 20 minutes. Though the second period left most of the score sheet bare, London continued its powerful game play. The team had several opportunities to put Windsor down by three, or more, but the defense and goaltending survived. The Spits lost their aggressor Ty Bilcke for the remainder of the game as he fell hard into the boards and limped off the ice. Early in the third, London added their exclamation point to an already impressive game. On the powerplay, Scott Harrington shot the puck towards the net, and it was tipped by Jared Knight. 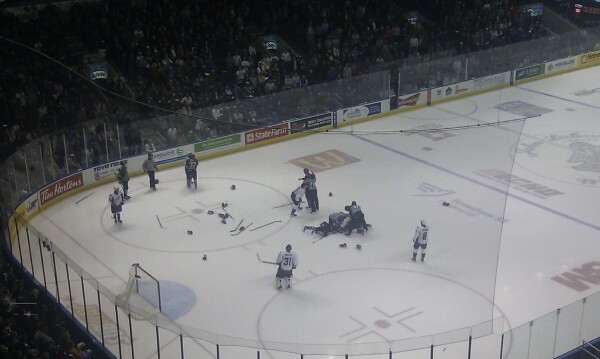 Later, a flurry of chances came for the London Knights. Pavelka, however, didn’t give up on the play; he stood tall and sprawled low to make his saves. 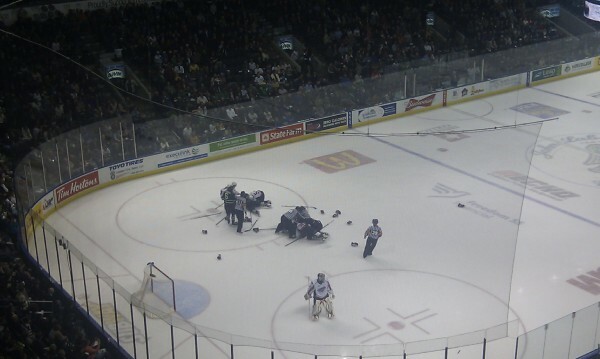 The Spits lost another player after Ben Johnson took a puck in the chin. As a result, he missed a good portion of the third, but he did return. By then, frustration began to build late in the game for the Spitfires. Brendan McCann began throwing punches with Max Domi, and that attracted members of both squads. Other minor scrums came about, but it was certainly not what Windsor had wanted at this junction. Shortly after, Zack MacQueen bumped London goalie Michael Houser. Houser, who stopped the 21 shots he faced, retaliated with a slash. As MacQueen turned to confront Houser, a couple of Knights came to the rescue, pulling Zack away, and fighting off Kerby Rychel. The Windsor Spitfires lost the first game of their seven-game series 3-0. Game 2 against the London Knights is this Sunday, March 25th at 2:05pm, at the WFCU Centre.